Is Social Media Scheduling With MeetEdgar the Right Solution for You? Social media platforms have grown in number and sophistication over the years; despite early concerns about longevity, many major players have stuck around for a long time. In fact, social media use and engagement has grown or remained consistent throughout the whole of 2016. Facebook in particular dominates the world of social media although other platforms such as Instagram and Pinterest have a loyal user base. Business owners and other social media professionals have long sought ways to improve social media saturation in order to communicate with an already-engaged user base and to gain greater market share through messaging targeted to highly specific demographics. As widespread as social media use is, leveraging its immense power to your brand’s advantage can be surprisingly difficult. Social media managers have to think many weeks into the future in order to craft messaging relevant to time-sensitive concerns while also promoting evergreen content that will drive traffic to your website. MeetEdgar is a social media management solution that lets users schedule updates and posts to occur on a schedule that suits their needs. Automating routine update tasks has considerable appeal, but is MeetEdgar really the right choice for every organization? The primary advantage of MeetEdgar is the ability to enter social media updates one time and then schedule them to occur as often as you like. This is great for alerting account follows to a sale section of an online catalog, for instance. Regular updates capture attention and will show up on more of subscribers’ feeds, especially if users choose to promote their posts. The prospect of doing the work once and getting repeated returns is perhaps this platform’s biggest selling point. Writing several updates is actually the easiest part of using MeetEdgar. The difficulty comes when developing a schedule for deploying these updates. Although there is data showing a sweet spot for engagement with Facebook posts, there is no way to be certain if this model is ideal for any given company. Determining the ideal time between scheduled posts is likely to require some data analysis; while MeetEdgar can provide users with some helpful statistics, advanced social media skills are required to identify the optimal engagement strategy for a brand. Time and money can be saved by doing social media work once and then enjoying the benefits many times over. Automating posts allows employees to optimize their workflow. Independent business owners can schedule updates to occur even when they are out of the office. Engagement is tracked, including clickthrough rate. MeetEdgar certainly rewards people who are capable of crunching the numbers required to find the perfect schedule for automatic updates, but a lot of valuable data is available at-a-glance. Posting frequently will dramatically increase the chance that branded posts will be seen on Facebook or Twitter feeds. Even if the perfect schedule seems elusive, users can start to see positive results simply by increasing account activity and fine-tuning their chosen engagement strategy. 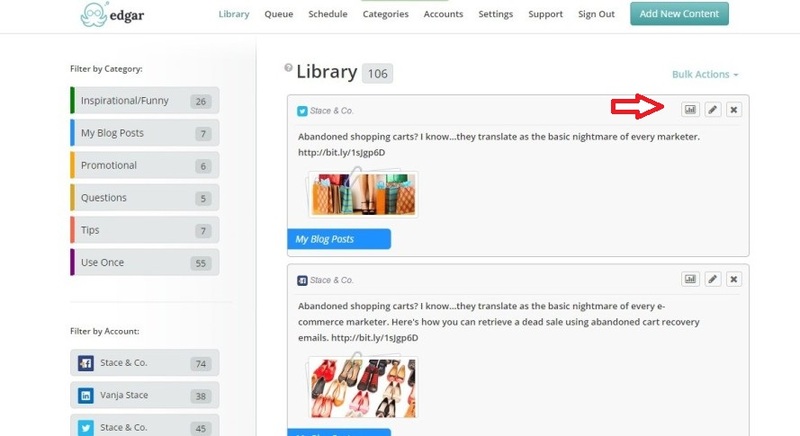 At its heart, MeetEdgar is a fairly simple tool – it allows users to schedule and track social media posts. This helps businesses achieve social media engagement goals, including driving increased website traffic and number of sales. 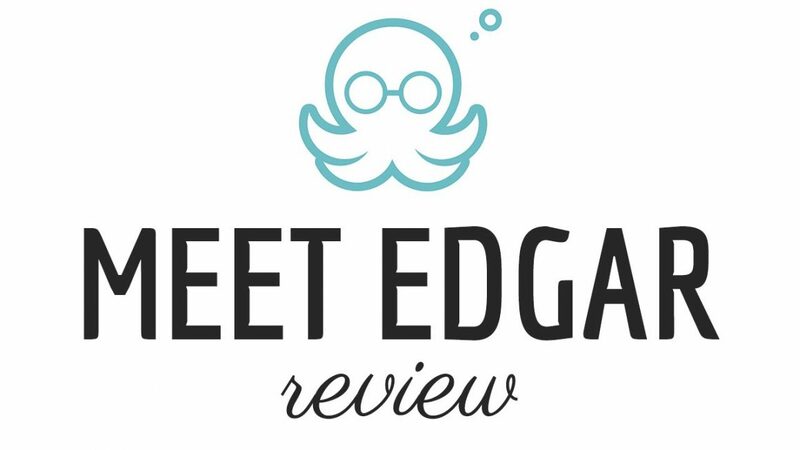 Although it lacks the refined statistical analysis possible by other social media management solutions, few small companies really need that much data to meet their goals; MeetEdgar’s price point is also a lot more small-business friendly. This platform’s simplicity is reflected in its user interface. 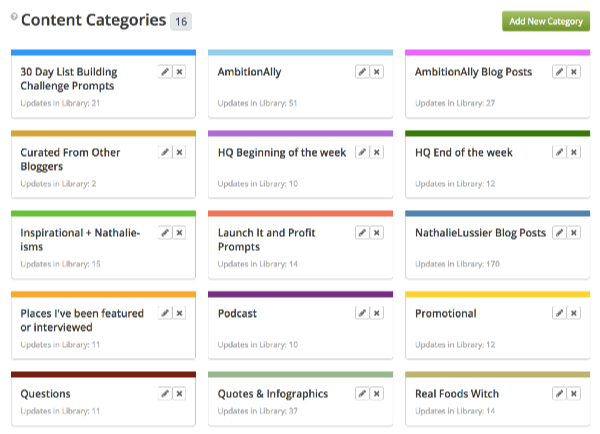 The user has immediate access to a library where the posts they create can be stored. Store messages appropriate for various sales events, website updates, and seasonal information; all posts can be sorted into categories for easy organization. Messages to be scheduled are simply selected; new messages can be composed on the spot. Once messages have been selected, they can be scheduled for posting. Users can select what kind of posts they want to occur and at what time. For instance, a social media manager might want a regularly scheduled update from the “store catalog” collection of posts to occur on a Monday morning; this can easily accomplished. The user-friendly interface makes setting up many different schedules a quick and straightforward task. Users can also choose which social media platform MeetEdgar uses. This makes cross-platform updating a snap; MeetEdgar can accommodate posting on Facebook, Twitter, and LinkedIn with multiple options. The data generated from posting on different platforms lets users see contrasting styles of engagement; this will help users further refine their social media strategies. MeetEdgar certainly fills a niche in the world of social media engagement – it provides cost-competitive social media solutions that are easily scalable for small businesses, individual brands, and companies in the early stages of growth. Bigger interfaces might certainly offer more comprehensive tools but the ease of use and no-commitment monthly billing makes MeetEdgar an ideal complement to existing SEO strategies.